You have a bright future awaiting you at Elegant Estates. We are always looking for men and women to fill job openings who are of high integrity, possess a great personality, and work well with others to join our team! If you love the outdoors, and like working with your hands, then we have a need for you. 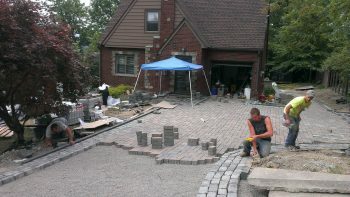 Our primary focus is on stone design, installation, and maintenance. 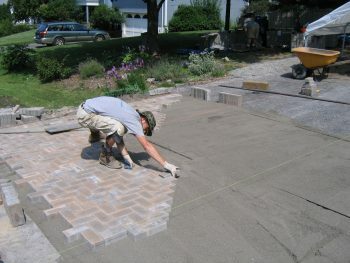 This includes, but is not limited to paver installation for sidewalks, patios, and driveways. 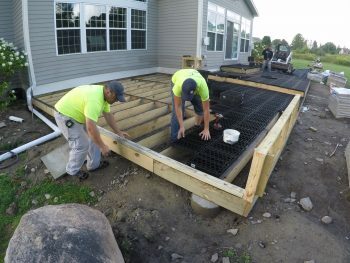 We also install a variety of projects, from small-scale one-time residential sidewalks to multi-phase large-scale full property development projects. 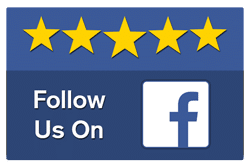 Many of our projects are local, but we have been called at times to travel long distances for larger projects, and to other states, as our skilled services are in high demand. Experience is preferred, but not required. Many times we find that the experience that is gained with competitors is not exactly what we are looking for. Often, we find that general experience like equipment operation, etc., is transferable but the installation methods are not. We train our staff to install according to ICPI and NCMA guidelines so we ensure that our clients get a result that stands the test of time. This training cost is paid for by Elegant Estates. 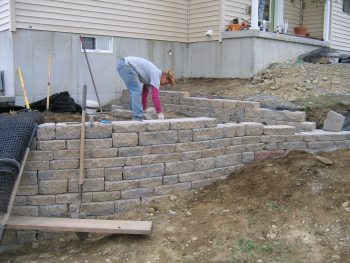 We also spend a lot of time with you on site supervised by a certified foreman teaching you the proper way to install stone. Many times we have applicants who wish to improve their position, that has little to no experience, train up into a certified foreman within a few years. Others also come to us who are looking for a summer or short-term position. These positions are important roles to fill as well, and usually always available. Elegant Estates pushes the boundaries with regards to installation trends. Depending on your tenure and position with us, you may opt to travel to local and national expos for training, product, and material research. 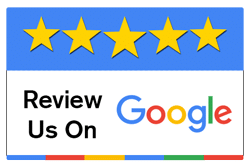 Many of our installation sites require us to have an intimate knowledge of many different products that will allow us to deliver lasting results that our clients have come to expect. We use up-to-date equipment on our job sites that allow us to conduct the work in a proper, and timely manner. Our installation projects typically require the use of smaller machinery like skid steers, excavators and tamps. Trained foremen will also use high tech equipment such as altimeters to verify accuracy in the installation. 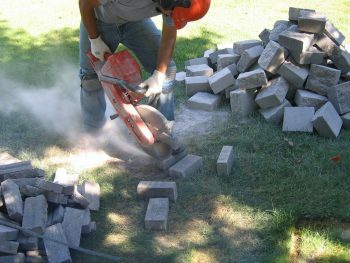 On wash and paver restoration projects, we also use complex, state of the art, equipment in order to achieve a proper result. Again, training happens at the office, in the field, and in the classroom. The degree to which you are trained depends upon the position you are seeking and is provided by Elegant Estates. Please take the time to fill out our application below so we can learn more about you and see where you would be a good fit. We look forward to meeting you and are excited to have you as part of our team! View our job descriptions here.